The K CROSSWIND 3IN1 is an extra robust, technical 3-in-1 jacket designed for kids. The jacket is highly versatile and can even be used for skiing. 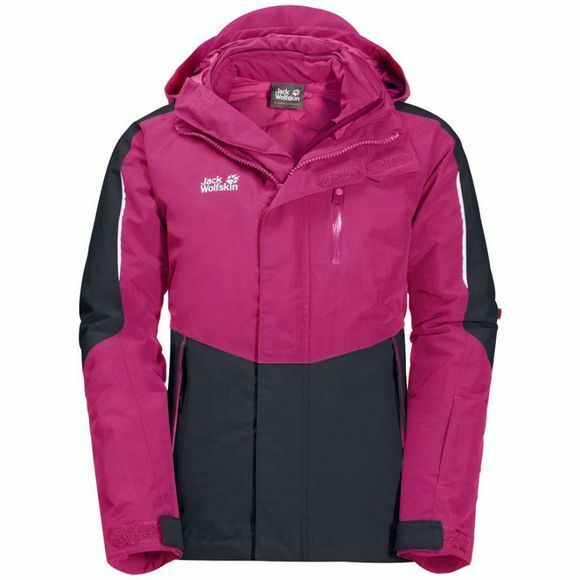 This is also the only children’s 3-in-1 jacket in the collection that features a windproof inner jacket. 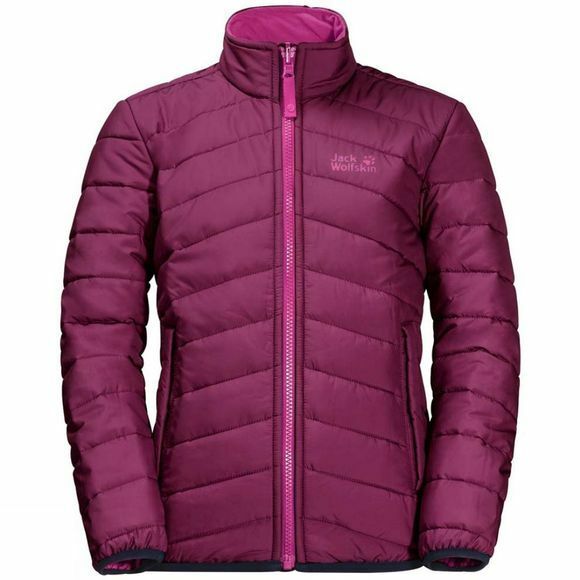 The inner jacket is insulated with robust, moisture-insensitive MICROGUARD. It retains its insulation performance even when damp and dries out again quickly. The inner jacket also benefits from a water resistant finish, so it can cope with light showers. The outer jacket protects your child from the wind and rain during their outdoor adventures. The collar of the jacket features an expandable chinguard that can be adjusted to accommodate a scarf. The hood is attached to the jacket with special safety press studs and detaches quickly if it gets snagged on anything. The clever system zip means that kids can wear the outer and inner jackets separately. This also means the CROSSWIND jacket can be used all year round.